A quickie set of CU Frames tonight :) Used some *awesome* Atomic Cupcake actions. Beautiful frame! Thank you very much. Thank you so much for these frames. Do you know how we ever lived without Atomic Cupcake's actions? Looking forward to your next design. Thank you so much for this post. 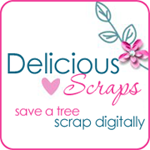 I want to let you know that I posted a link to your blog in CBH Digital Scrapbooking Freebies, under the Page 1 post on May. 12, 2011. Thanks again.